Our FITC Web Unleashed 2018 credit sequence contains a lot of dynamic composition. Moving the camera in many different directions can make for some gnarly animation timelines. This post will help you simplify working with your camera so you can focus on creating cool shots. When done right, a camera rig will be your composition powerhouse. It separates camera movement and framing to allow for more flexibility. It will allow you to come up with reusable compositions that you can seamlessly move between. When the camera’s position is separated from its rotation and movement it’s easier to work with, we’ve spent a lot of money making this possible in films and TV. Think of a tracking shot (following a moving object) in a movie. The old-fashioned way was to move the camera by hand at the same time and pace. Then they built a track and platform. Now we’re making robotic cranes. The goal? To decouple the direction the camera is facing and the direction the camera is moving. With a camera rig in 3D, you can move the camera in 6 directions at once giving ultimate freedom! This means it can be difficult to get your objects into the camera’s view though. This is why we’ll need some kind of camera rig. Something that helps us follow the object, but lets us move around still. The most basic camera rig is to make the camera a child of another 3D object. It’s best to use an empty object, one without a mesh or materials. In more complex rigs, the empty object can be attached to an armature, soft body physics, and contain lights. See the Pen Camera Setup by Matthew Willox (@mwmwmw) on CodePen. Click to see what the camera is doing. One thing I find prevalent with 3D on the web right now is the lack of focus on composition. Here we have a virtual photo studio in our browser with unlimited potential… what do we do with it? Plonk that camera in the middle and have it move around a central object. Where is the story in that? Why not move the camera? The location of the Camera Rig will always be the central part of your composition. There are a few ordered steps you should use when moving your camera. It might seem a little more complicated because you’re moving two objects. But you’re moving one object a lot, and then the other a little. Move the rig to the object you want to focus on. Think of it as where you’re looking directly. Adjust the rig rotation so that the camera is pointed in the right direction. Remember the goal is to move the camera as little as possible at this point. Rotate the camera along the Y and X axis to frame the subject in the shot. You don’t have to put it in the center! Why not the top left third? (Check out the rule of thirds, it’s a basic composition concept that will transform the way you look at your framing). Add other subtleties to the Camera. See the Pen Reactor by Matthew Willox (@mwmwmw) on CodePen. I deliberately switched some axis around to force you to think about different ideas. The camera composition is important when you’re trying to say something. Don’t overlook its power. When framing your shot, think about what you want it to say to the viewer. People don’t come to the web to “view 3D models.” People want to interact and feel things. 3D is so much better when brought to life through composition. It has a major impact without increasing the number of resources required. 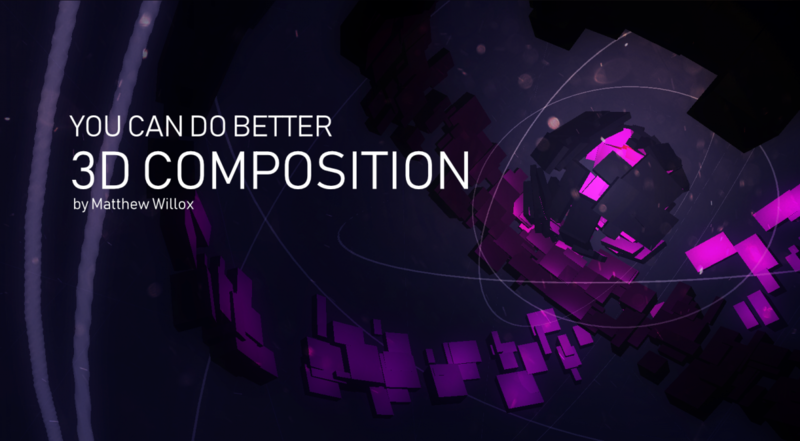 If you’re having trouble thinking of what you can do with composition, watch this video. By using a Camera rig and some of the techniques described, you’ll have an easier time framing cool shots. Get creative! Artist masquerading as a developer in a designers world.